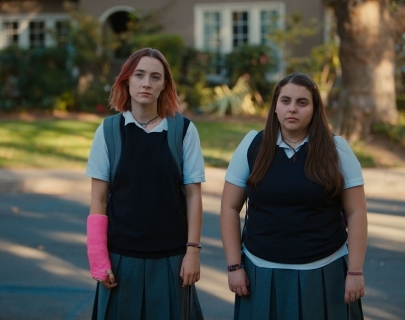 Greta Gerwig’s semi-autobiographical directorial debut follows precocious teenager Christine (Ronan), or ‘Lady Bird’, as she drifts through her final year at a strict Catholic school in Sacramento, California in 2002. Full of daydreams and aspirations for her future, she continually clashes with her mother, Marion (Metcalf), who is more preoccupied with practical concerns. Beautifully and sensitively realised, Lady Bird’s sensational performances and sophisticated writing create a personal and authentic coming-of-age story.